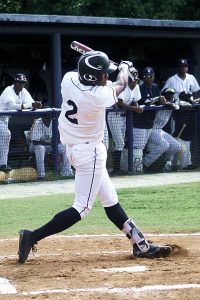 The No.3 ranked Redan Raiders are the lone remaining DeKalb County School District (DCSD) baseball team remaining in the state playoffs following Arabia Mountain’s Game 3 loss against McIntosh last Saturday. Arabia Mountain wrapped up its season at 21-10 after falling at home 9-3 to McIntosh in Game 3 of their Class 5A best-of-three series. McIntosh had won Game 1 8-4 before the Rams bounced back to even the series at one game apiece with a 7-5 victory in Game 2. The Raiders (25-9) are coming off a two-game sweep of Crisp County by scores of 12-7 and 15-3 and host Coahulla Creek (24-9) on Wednesday (May 10) in a 4:30 pm doubleheader. Redan, the No. 1 seed from Region 4-3A, opened the state playoffs with a sweep of Fannin County by scores of 3-0 and 16-2. The Raiders have won 20 of their last 21 games. Taj Bradley (.450, 22 RBI) and Hunter Todd (.434, 20 RBI) leads a group of five Raiders’ juniors topping the .400 mark at the plate. Orlando Adams (.429, 24 RBI), Kelvin Smith (.418, 24 RBI) and Chayce Bryant (.405, 22 RBI) were also in the .400 club at the end of the regular season. Senior Darius Pope leads the pitching staff with a 6-2 record with 49 innings on the mound in 2017. He has a 2.14 earned run average with 59 strikeouts and just 25 walks on the season. Bradley is 3-2 on the mound in 29 2/3 innings with a team best ERA of 1.65. Coahulla Creek, the No. 2 seed from Region 6-3A, is coming off a three-game set on the road against Pike County. The Colts won Game 1 of the series 3-2 in nine innings, dropped Game 2 0-4 and clinched the series with a 5-0 victory in Game 3. Coahulla Creek swept Franklin County 7-1 and 8-1 in the opening round of the Class 3A state playoffs. The Colts have won 14 of their last 16 games including the loss to Pike County and a loss to No. 4 Ringgold. The Colts are led at the plate by senior Hayden Locke (.406, 5 HR, 6 triples, 7 doubles, 35 RBI). Sophomore Drew Sage comes in at .342 at the plate with 11 RBI and senior Ethan Riley is hitting .340 with 10 RBI. Senior Trent Collins is the Colts ace on the mound with a 9-0 record and 2 saves in 13 appearances. He has a team low ERA of 0.57 with 53 strikeouts and 8 walks in 61 innings on the mound. Eli Turso is 5-1 in 42 2/3 innings with 43 strikeouts, 27 walks allowed and a 0.98 ERA.